Home Training Bodybuilding How to Break Free From a Muscle Building Plateau? When the World asks you to push more it is time that you conjure your emotions and take the right step. When you have hit a plateau, you need to take few notches down and opt for a rest day. An active rest day will breathe new life into your gym regime. Refrain from the popular Indian roadside eateries as you are asked to go for a rest day rather than a cheat day. Active rest day would include a breezy stroll through a park or an interactive session with your friends and family. You can always opt for Yoga if you are feeling up for it, and one can always find solace in meditation. Days when you will feel down and out, a rest day will catapult you right back into the track. It is important to work the angles when you exercise as your muscles tend to get exhausted when too much pressure is exerted on a given area for a longer period of time. You might go through severe pain while pumping iron during full-back workout. Romanian deadlifts and Lat Pulleys are the dream, but you need to hold onto your horses and look for a different angle. You can go for traditional chin ups that would get your back into shape even without pumping iron. Admit it, we have all felt at one point of our life that the ambience isn’t good enough. The slow tuned songs of Arijit Singh or Adele might be tranquil, but it will certainly make you feel lethargic. You can always change the playlist or simply plug in your headphones and listen to what suits you. Many do not like listening to anything while working out, and they can look for hours where the gym is almost deserted and match their timetable and hit the gym during the silent hours. Supersets have quickly grown into an intriguing concept and rightly so. A superset includes two specific exercises where each one of them would work on a specific part of the body or entirely two different parts while taking no rest in between. Try to grow for 6 reps each and start with small weights rather than going big. You can always pair alternate barbell curls with triceps press down or go for the Smith Machine squats and Leg extension. This will stress on a specific area/s for a longer period of time while not allowing any fatigue to creep in. When performing bodybuilding exercises it is quite common to see individuals going on pumping mammoth weights and completely ignoring their progress graphs. For large shoulders and biceps, one doesn’t need to keep on pumping iron till they reach the 100-kg mark. You can settle in for 5-6 reps per exercise and gradually increase the weights. The alternate reps’ procedure is another hit as it allows you to keep rejuvenated even after a hefty set. It includes 3-4 exercises with the first one starting at 30 reps at minimal weight, the next at 25 with a slight increase in the weights, and gradually ends at 10 reps at maximum weight. The next exercise will start from 10 reps with maximum weight and gradually decline to minimal weight and more repetitions. You need to relax and let go of the fact that Cardio is everything. Cardio and HIIT are the best fat burning exercises, but as our ancestors have passed on the phase “too much of anything isn’t good’. Like heavyweight overtraining, cardio can do more harm than good as it drains away your stamina completely. 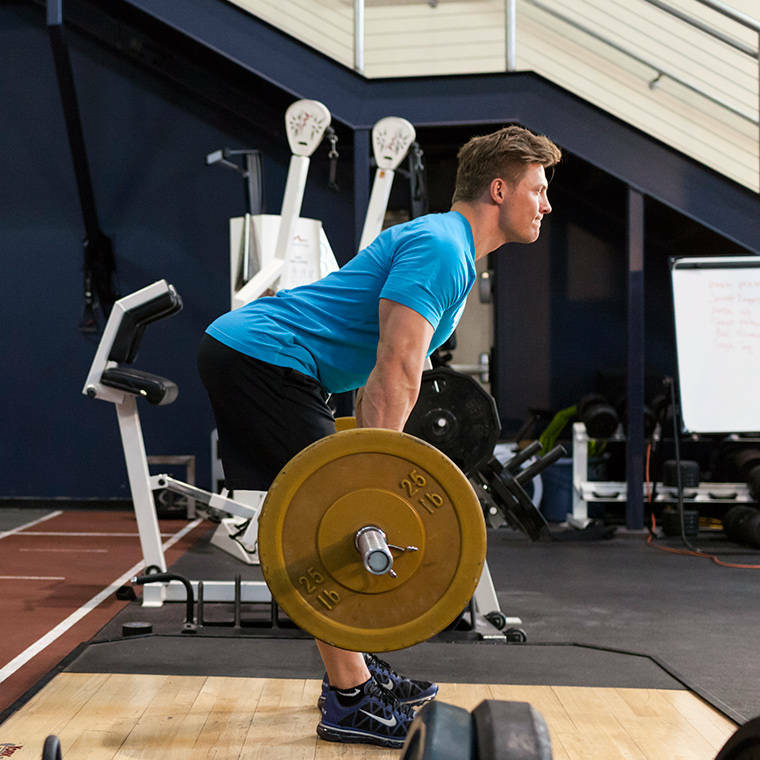 You need to adjust your weightlifting days and cardio in the right proportion. You need to break free from the myth that weightlifting can only help you gain weight. Weightlifting has proven to be one of the best core building exercises and there is no harm in pumping iron regularly. At the end of the day, everything boils down to proper diet and nutrition. You can always improve if you abide by the given diet and the intake of nutrients. Hitting a plateau isn’t something to be worried of as many remain unaware of the fact that they have hit a plateau until and unless they Google their symptoms. It is high time to gather your thoughts together and know more about your own body and its requirements. Previous articleWhat are the Benefits of Consuming Protein Supplements? Next articleWhy is it Important to Vary your Workout Routine? Gonna reduce my cardio now, great read!